However, you don’t just move to a new city now—you’re moving to a new neighborhood and this guide will give you everything you need to know before deciding to live in Salt Lake City. Whether you are young or old, adventurous or conservative, rich or poor, don’t leave it to chance to find your next great home. This Neighbor Salt Lake City Moving Guide will walk you through the questions and decisions you need to make before relocating to Salt Lake City. What is it like to live in Salt Lake City? What makes SLC unique and cool enough to move there? To answer that, we talked to Chris Holifield, host of the I Am Salt Lake podcast. He explores the streets looking to showcase the best people, businesses, food, and events the city has to offer. We asked him for his advice on getting the most out of Utah’s capital and tips for moving to Salt Lake City. What do you like most about Salt Lake? Salt Lake City is an interesting city. The thing I like about Salt Lake is that it’s big enough to be a city and have that city feel yet it’s small enough that everyone knows everyone that it has that small town feel at the same time. What are a few of your favorite hole in the wall restaurants in Salt Lake? Charlie Chows (Chinese Food), Chungas (Mexican Food), and Blue Plate Diner (Classic American Food) are a few of our favorites. What are the coolest events that happen within Salt Lake every summer? One of my all time favorites over the summer months here in Salt Lake City is the downtown farmers market. It goes every Saturday from 8am-2pm from June until October at Pioneer Park right downtown Salt Lake City. I really look forward to this all year. There are tons upon tons of local produce and arts & crafts vendors. I feel like I’m at a street fair or something every time I go it’s so huge. Another event that I LOVE about summer is Craft Lake City. This year it is happening from August 10-12 right downtown at Gallivan Center. This is it’s 10th year and every year they blow me away more and more. Tons of local artists and vendors, live music, and more! Do you have any favorite food trucks that roam the city? Chowtruck was a favorite. The reason I say was a favorite is because they actually had to recently close up shop. Chowtruck paved the path for all of the other food trucks in the city so they kind of hold a special place in my heart. Some other favorite food trucks that you should keep your eyes open for are Gerlach’s, Cup Bop, Waffle Love, and I’m not sure if this is allowed but those taco carts on the corner of 800 South are seriously some of the best. 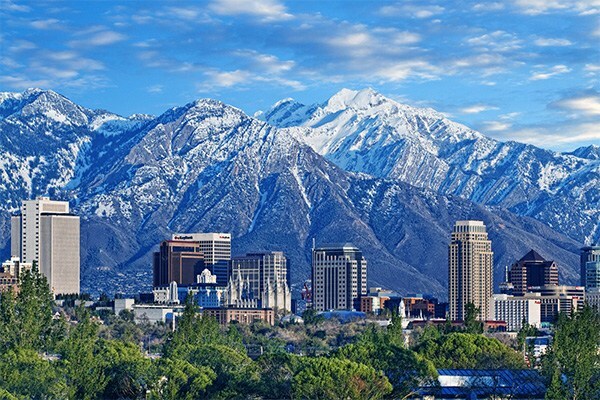 If someone were moving to Salt Lake City, what tips or advice would you give them to help them settle in and get to know the city? One of the best parts about moving to Salt Lake City is the diversity of neighborhoods. Each has its own vibe, demographic, and will make your experience living in Salt Lake City very different. You can read about people’s personal experiences in Salt Lake City in Lifey’s Guide to Salt Lake City. Once you’ve lived here a while, you can contribute to Lifey’s collection here. 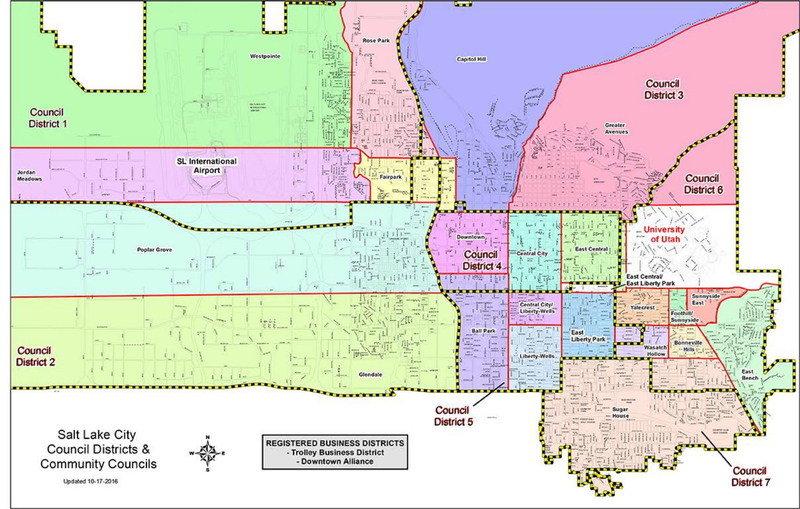 9th and 9th – Area extending from 800 East to 1100 East and 800 South to 1300 South; 9th and 9th is often described as a mini-city within Salt Lake City. The Avenues – Area covering everything north of South Temple and east of State Street to city limits; the amount of wealthy people and fancy houses increases as you go deeper into this neighborhood. Capitol Hill – Area extending from State Street to 500 West and north of South Temple to city limits; this neighborhood was named for Utah’s grand Capitol Building. Central City – Area between State Street and 700 East extending from South Temple to 700 South; points of interest include Trolley Square and Liberty Park. Central City West – Area extending from 300 West to I-15 and from South Temple to 1300 South; the neighborhood where the Vivint Smart Home Arena is located, home of the Utah Jazz. Downtown – Area extending from State Street to 300 West and South Temple to 700 South; downtown is bustling with attractions including the City Creek and Gateway malls along with world-famous Temple Square. East Central – Area extending from 700 East to 1300 East and from South Temple to 1300 South; this quiet neighborhood is home to a few small concert venues and bars. Fairpark – Area extending from 500 West to 1460 West and North Temple to 600 North; this area boasts one of Utah’s most iconic restaurants, The Red Iguana. Federal Heights – Area between Virginia Street and the University of Utah from 100 South to Federal Heights Drive; Federal heights is right next to one of the most well-known universities in the state. Foothill and East Bench – Area stretching east of 1300 East to city limits between 500 South and I-89; popular attractions here include the Hogle Zoo, This is the Place Heritage Park, and Natural History Museum of Utah. Glendale – Area extending west of I-15 to city limits from 950 South to 2100 South; this diverse neighborhood has over 25 different languages being spoken. Liberty Wells – Area extending from State Street to 700 East and 900 South to 2100 South; due to job and housing opportunities, this area is one of the most recommended neighborhoods for millennials in Salt Lake City. Marmalade District – Area extending from 300 North to 400 North and Quince Street to Center Street; this neighborhood is rich in history and beautiful architecture and named for imported pear and apricot trees planted in the 1900s. Poplar Grove – Area stretching west from I-15 to city limits between North Temple and 950 South; this area is one of the largest neighborhoods in Salt Lake City. Rose Park – Area extending west from I-15 to Redwood Road and north from 600 North to city limits; the streets in Rose Park were laid out to look like several roses with one of the main roads forming the stem. Sugar House – Area extending south from 1700 South to city limits between 700 East and Foothill Drive; this part of the city is full of eclectic and vintage vibes. University – Area extending from 110 East to University Street and South Temple to 500 South; bustling with over 30,000 students, the University area is lively and hip. Westpointe – Area extending west from Redwood Road to city limits and north from 700 North to city limits; this neighborhood encompasses the airport and nearby housing developments. Yalecrest – Area stretching from Sunnyside Avenue to 1300 South between 1300 East and 1500 East; Salt Lake City’s official ivy-league neighborhood. If you have children then this is probably one of the most important things to think about before moving to Salt Lake City. Where are your kids going to go to school? How good is the school when compared to the others in the area? Does the school specialize in a certain subject and will your children enjoy that? Since there are so many schools to report on feel free to visit Salt Lake City School District’s school directory and Granite School District elementary, jr. high, and high school directories for all their information. Here, we’ve broken down the interesting stats on four of the main high schools in the area so you can make an informed decision when moving to Salt Lake City. For more in-depth information, visit the links above and compare the below assessments. Check out Zillow’s Home Buying Guide to get help figuring out everything you need to know through a step-by-step process to buy a home while moving to Salt Lake City. The estimated average home price or condo value in Salt Lake City is currently $352,300 for a medium home with 3 bedrooms and 3 bathrooms. We’ve compiled a list of calculators to help you purchase a home in Salt Lake City and figure out how much you can afford when it comes to mortgages, refinancing, and affordability of homes you are looking at. Renting an apartment is almost as stressful as entering into a new relationship. You have to search for the perfect match, with the right amenities, price, location, features, and above all, the other tenants and your landlord have to be awesome. You’ll be living in a neighborhood within a neighborhood—a community that functions within society, and you want to be in the best position possible. You need a landlord who fits your personality type so you don’t clash over the dumbest things, like if he can fix the lightbulb in the hallway or not. Luckily for you, we’ve compiled a few resources to help make the process seamless and easy. Currently the cost of living in Salt Lake City is indexed at 92.4 which is less than the average across the United States. This means it is relatively cheaper to live in Salt Lake City than most cities across the US. Find out from the locals how much groceries are, average rent/mortgages, property expenses, taxes, etc. The better idea you can get of the city and living conditions before arriving, the more prepared you can be—and also the more negotiating power you’ll have when you’re determining what to request for your salary if you are moving here for work. The cost of living index will help you understand if you can afford to live in Salt Lake City, Utah, how this city compares to other cities within Utah, and how Utah compares to others in the USA. Take the cost of living seriously and it could save you lots of money in the long run. 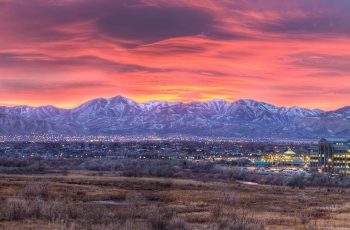 What is there to do in Salt Lake City? More than you would think! How accessible is Salt Lake City? Before settling down in any given neighborhood you need to check out how close it is to the main cities and attractions. We’ve compiled the best commuting times, average gas prices, and available public transit surrounding Salt Lake City below. Commuting Times can make or break an apartment or house when you are deciding on a place to live. Unless you want to be out in the open and in the countryside then I’d suggest looking up the typical travel times from Salt Lake City out to the nearest cities. If you are moving then you should seriously consider self storage. It could take a while to find the perfect neighborhood in a day, week, month, or year. You’ll want to find a cheap self storage unit near you that can protect your belongings while you continue your search for home. You need something flexible, cheap, and in a convenient location—you need Neighbor Storage. 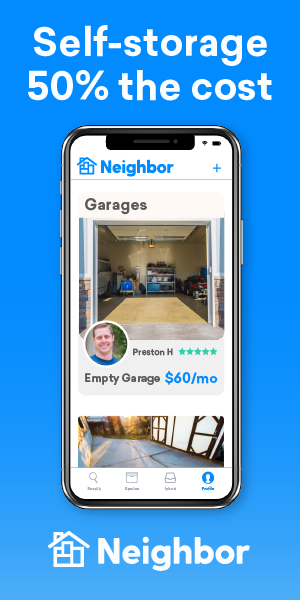 Neighbor’s got you covered with their self storage platform. The prices below speak for themselves. We’ve listed out all the unit sizes you could possibly imagine. You won’t need anything bigger than an 10 x 20 storage unit unless you are trying to store an RV in which case you should really be looking at Neighbor’s website for a space to save you money. The traditional self storage unit prices are almost double every time for every size of storage unit available. Neighbor provides storage at affordable costs, secure locations, and has on demand units so you can get a unit anytime, every time. Find cheap Salt Lake City self storage or rent out your extra space on Neighbor. Salt Lake City Moving Guide Conclusion: Home Sweet Home? You can literally move anywhere in the United States. 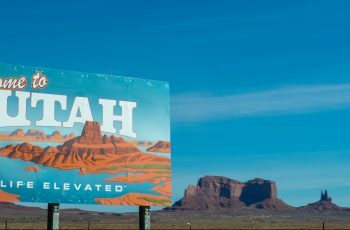 According to a Pew Research Center Survey, 37% of Americans have never lived outside their hometown and 57% have never lived outside their home state. 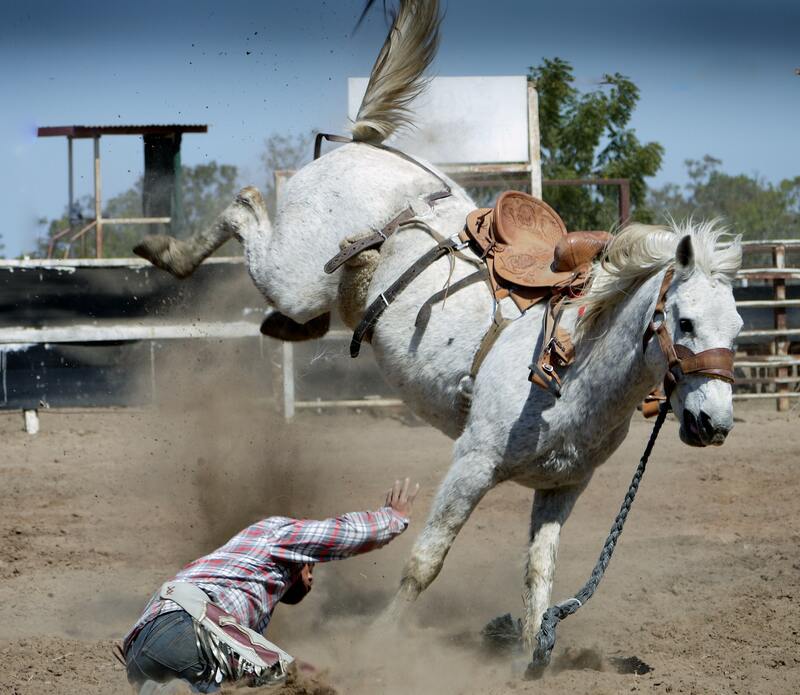 Don’t fall into that statistic! Be a traveler, explorer, or nomad of the USA suburbia! Why not try living in Utah? If not, explore other new neighborhoods near you and only settle when you have found the city that fits your vibe.